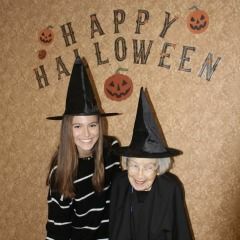 Saturday, October 20 was a big day for members of the Heritage Hall Upper School Adopt-a-Grandparent Program and the residents of The Fountains at Canterbury who participated in the program’s annual Halloween party. 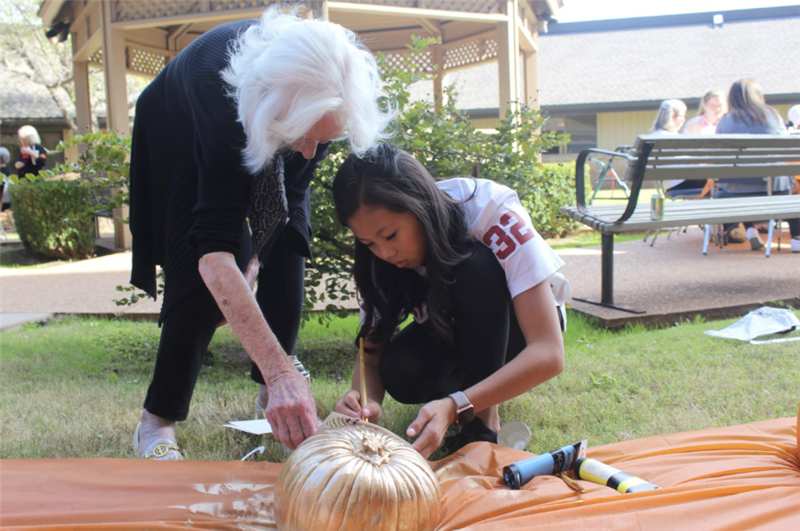 During their time together, the “adopted” grandparents and grandchildren enjoyed pumpkin painting, costume contests, and homemade Halloween-themed goodies. 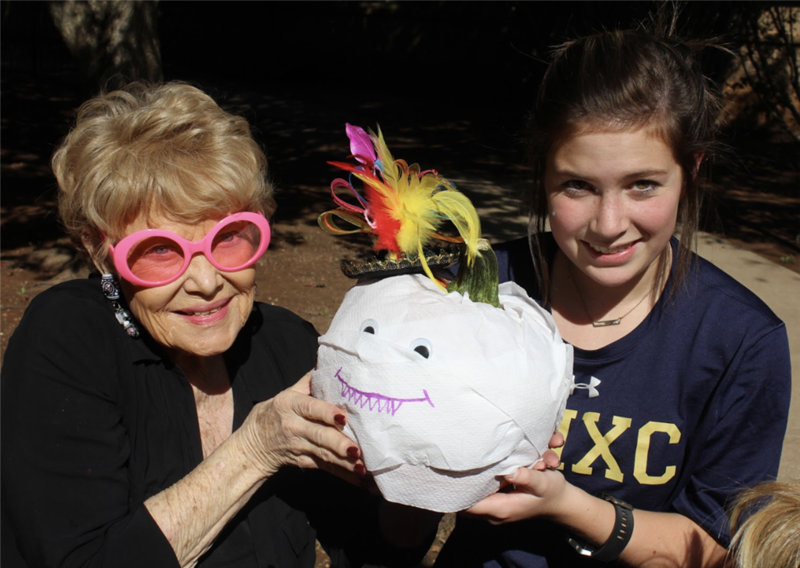 When it came time for prizes, resident Sharon McIntosh, Heritage Hall junior Jalen Johnson, and sophomore Eli Siatkowski took home top honors for their pumpkin; best costume went to resident Barbara Keating and Heritage Hall junior Camryn Fulkerson. 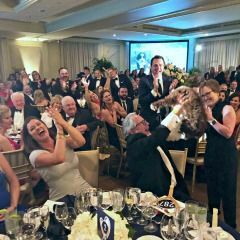 “This is an amazing event,” stated Becky Strong, Community Life Director for The Fountains at Canterbury. 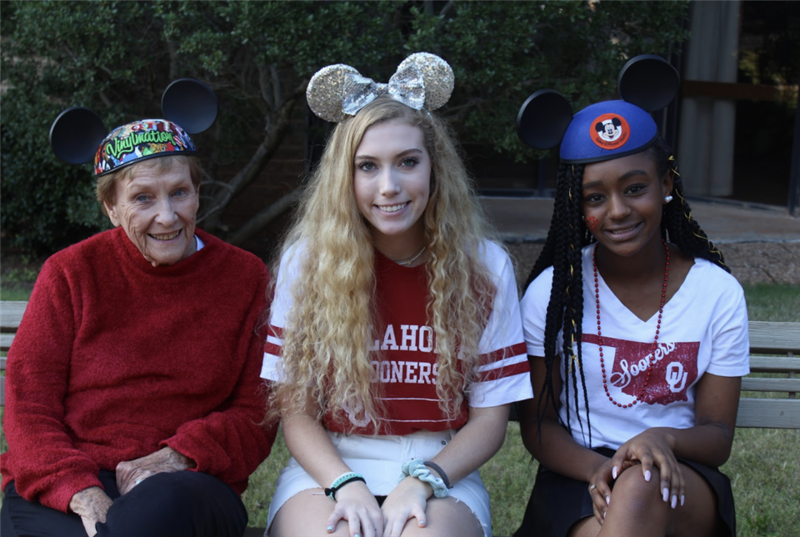 “The residents love any opportunity to get together with the kids; they enjoy talking and learning about each other,” she added. 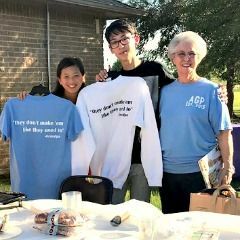 Since its founding in 2015 by Heritage Hall seniors Marco Ren and Alina Wilson, the Adopt-a-Grandparent Program has successfully paired more than 60 grandparents and grandchildren. In addition, a number of area schools and retirement communities are following Heritage Hall’s blueprint to create their own programs. 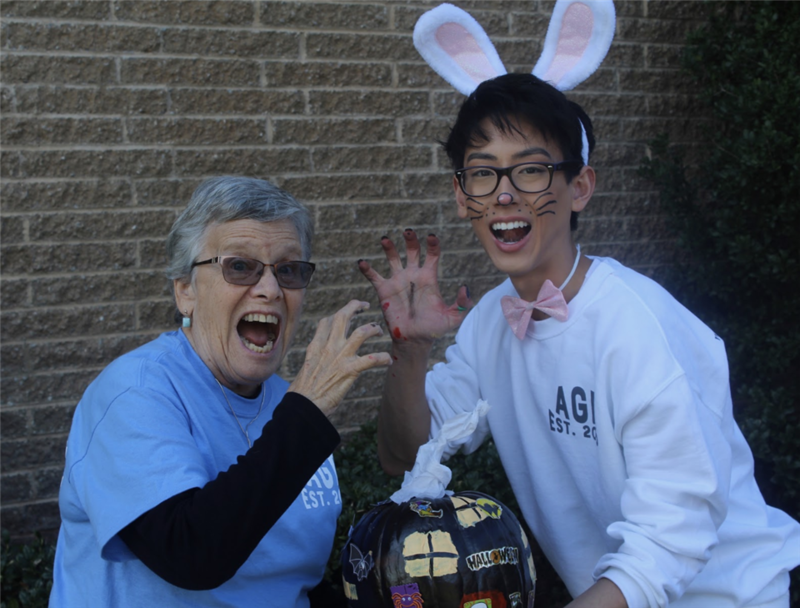 For information on the program, email adoptagrandparentprogram@gmail.com, visit adoptagrandparentprogram.com, or follow adopt_a_grandparent_hh on Instagram.